IFA 2015: Sony launches trio of new noise-cancelling Walkmans | What Hi-Fi? Sony has taken the wraps off three new Walkmans at IFA 2015, the NW-ZX100HN, NW-A25HN and NW-A27HN. The NW-ZX100HN features new noise-cancelling technology. This isn't the first time such a feature has appeared on a Sony Walkman, but it's a brand new version of the tech, dsigned for its portable music players. The player boasts similar basic features to the NW-ZX2, including Sony's S-Master HX digital processing. 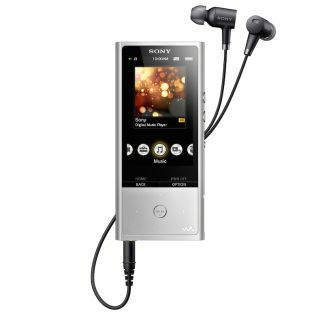 It's also compatible with Sony's high-quality LDAC codec, which is transmitted over Bluetooth. The design features a rounded aluminium frame and a 3in LCD creen with 400 x 240 resolution. Like the ZX2, capacity for the ZX100HN is 128GB which is expandable via MicroSD. The NW-ZX100HN is set to cost £500 and is due to go on sale in October. The other players to launch are the colourful NW-A25HN (£240, pictured) and the NW-A27HN (£350). These are identical apart from different memory capacities - 16GB in the A25HN compared with 64GB in the A27HN. As with the ZX100HN, both of these are expandable via MicroSD, while they also feature noise-cancelling technology. The players come in a variety of different colours to match Sony's new 'h.ear' range of headphones - Charcoal Black, Viridian Blue, Bordeaux Pink, Cinnabar Red and Lime Yellow. Battery life is claimed to be around 50 hours. Again as with the ZX100HN, these new models are due to go on sale in October.